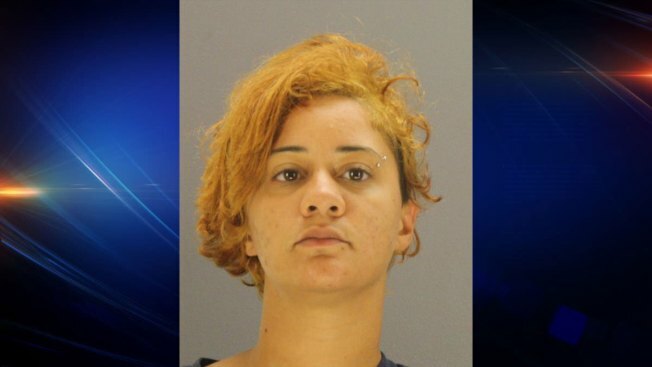 Dallas police say a woman who tried to shoplift $11 worth of frozen food from Wal-Mart threatened to infect an employee with HIV. According to a police report, Diamond Lawrence, 25, attempted to walk out of the Forest Lane Wal-Mart Tuesday afternoon with the food when she was confronted by the employee. While Lawrence was being escorted back into the store, the worker said Lawrence bragged about being HIV positive, saying "I can infect whomever I please." Officers said Lawrence was wearing a medical wristband that identified her as having HIV. Shortly after that, officers said Lawrence struck the Wal-Mart associate in the face, then scratched his neck, in what police believe was a deliberate attempt to draw blood and expose him to the virus. Police records indicate that Lawrence sarcastically told the employee "You're welcome" several times after the attack. The employee was checked out by Dallas-Fire Rescue crews and no known bodily fluid was exchanged. Wal-Mart doesn't prosecute for shoplifting the amount of small items, but asked Lawrence to never return to that store. However, she had two outstanding arrest warrants for public intoxication and invalid driver's license. Lawrence is in the Dallas County Jail. Her bail is set at $1,500.